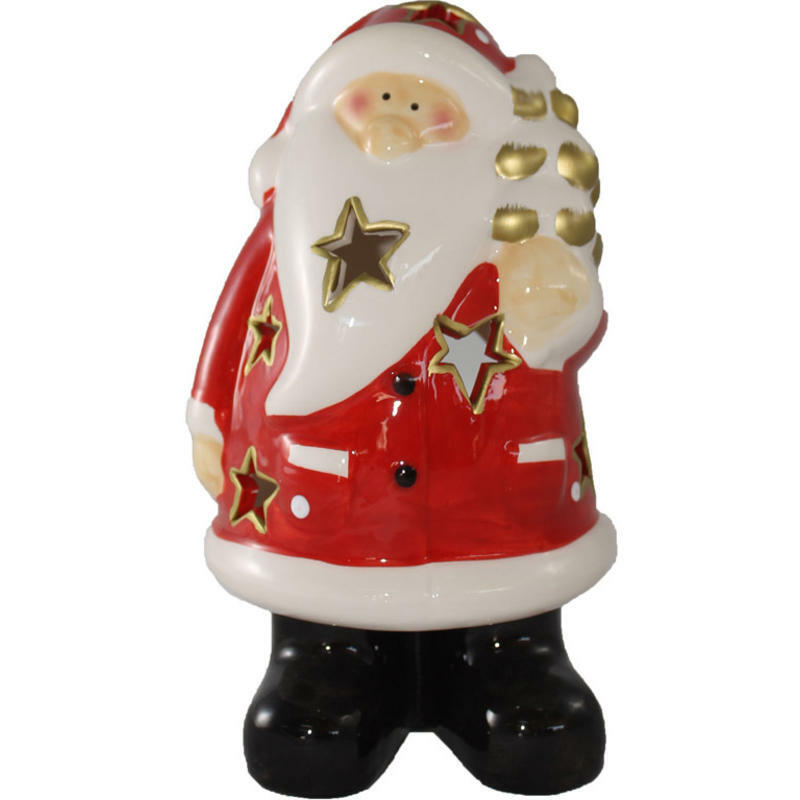 The charming and whimsical Santa Candle Light captures everything special about the holiday season. 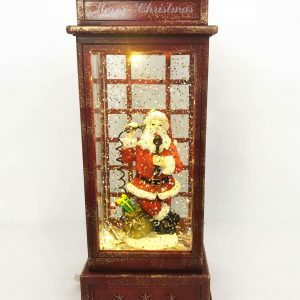 This adorable character depicts your favourite elf, Santa Claus, and the warm glow from inside the figure will send warm, welcoming vibes throughout your home this Christmas. 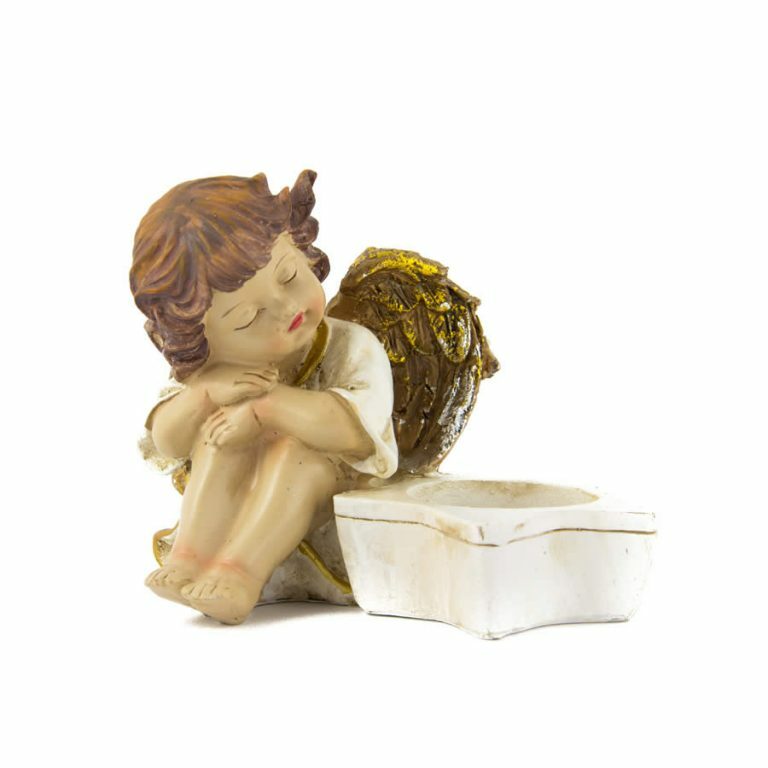 Measuring approximately 11cm wide by 20cm tall, this ceramic figurine features cut-out accents that allow the light of your tea lights, votives, or flameless candles to shine through. The details of this enchanting figurine make it appropriate to display anywhere- the office, your mantle, or even as a component in a decorative centrepiece for a party or holiday gathering. The gloss of the glazed ceramic facade is accented in gold, which shimmers in the lights of your home or the candle contained within.